The Sparrowhawk (An Spioróg) is the most likely bird of prey to visit the gardens of Clane. However, they often fly low and fast so can be gone before you know it. 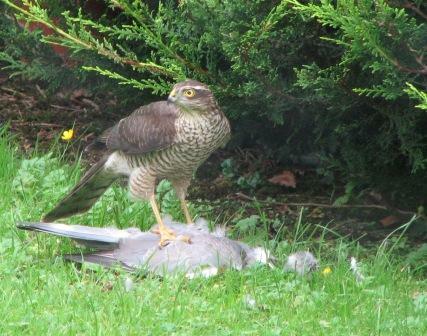 Whilst many raptors feed on small animals like mice, the Sparrowhawk’s speciality is birds. They hunt by surprise, zooming along hedgerows and walls, hoping to ambush any small or medium sized bird that might be caught unawares. The female is larger, and can catch prey up to the size of a Woodpigeon. They nest in trees, often in the abandoned nest of a crow. The Kestrel (An Pocaire Gaoithe) is a type of falcon and is usually seen in the countryside. Often it hovers over verges or fields as it searches the vegetation for slugs, beetles, frogs, mice and other small animals. 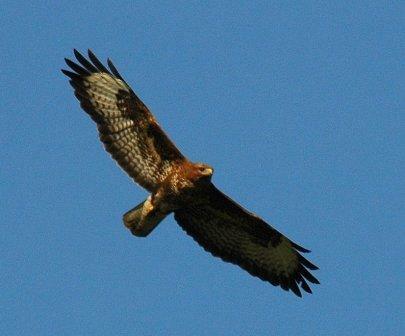 Once almost extinct in Ireland, the magnificent Buzzard (An Clamhán) is the other bird of prey now regularly seen around Clane. Brown above and sometimes creamy below, it feeds on a variety of prey from the size of insects to the size of rabbits. Breeding across the country again, they can be seen sitting on haystacks, trees, telegraph poles and even in the middle of fields, scanning for their next meal. Keep an eye out for them along any of the roads approaching Clane, and they sometimes soar high above the town in the thermals, if the weather is warm. 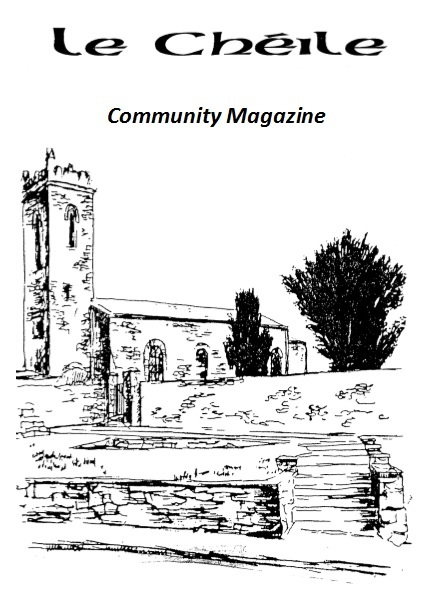 If you’d like to see any of these birds in Clane, don’t forget to open your…ears. Adult swallows, starlings and crows will all cause a commotion if one of these threats appears nearby. To prevent their young being caught they will sound the alarm, mob the imposter, and try to drive them off. Their cover blown the raptor will move off in frustration, but hopefully not before you get a chance to spot it.